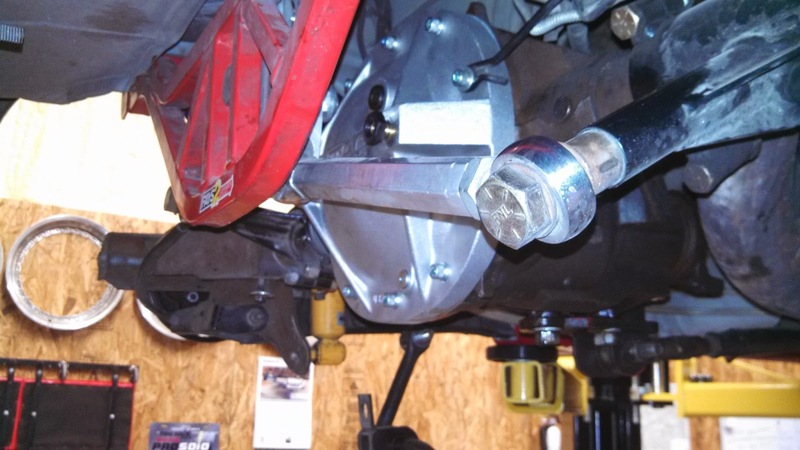 pull the front suspension apart in the pursuit of more speed and some bigger "angles." The 2014 College Station Tour wrapped up last weekend. The event was a huge success and reached it's goal of over 200 entries which should help secure it's future on the SCCA calendar. Big congrats to all involved in planning especially Todd Farris who I personally saw work his a$$ off all weekend. Our weekend started with the Friday practice day before the Tour where my Dad took the Evo Advantage class and got some quality (very very very high quality) seat time and instruction in the Camaro. I instructed along with Brian Burdette and Dave Whitener at my first Evo School. I really enjoyed it and appreciate the opportunity by Junior and the Evo School team. I instructed students in a wide variety of classes - AM, STR, BS, STU, and DS with some students taking home some hardware at the end of the weekend! Great job guys. ESP lined up in Heat 1 along with CP and SM. We only had 4 in class with one driver dropping out or changing classes last minute. We didn't find out until we got to grid so there went the chance to win some more HoHos...oh well. Some overnight rain made for tricky conditions in Heat 1. The CP guys did a great job of clearing as much water as possible before we started running but the track was still pretty wet as you can see in the video. This meant the competition was basically a one-lap shootout on Run 3 as it would have much better conditions than the 1st. Luckily, I was able to get a flyer in on my 3rd run with a 66.528 which surprisingly ended up being good enough for top PAX for the day. Like in Blytheville, the ESP Camaro was dialed in. My Dad had a great 3rd run to finish in P3 after Day 1. I had a healthy lead going into Day 2, but you never know with the stiff competition in ESP. There was no rain overnight so all of the high horsepower cars of SM, ESP, and CP had much better conditions Sunday morning. I laid down a really solid 2nd run with a 67.231 which would have been quick enough to win CP had it not been for one darn cone. 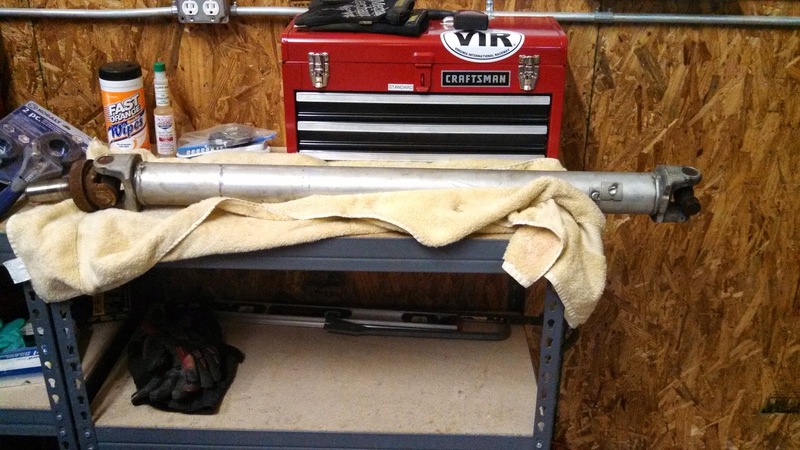 For my 3rd run, I was not able to get back to my 2nd run pace as the tires had cooled during an extended break to remove a broken CP car from the course and I just needed a solid, clean run in the bank to preserve my ESP lead. I finished with a 67.917s run with no cones. This gave me the win in ESP by 3.2s win due to some cone trouble by my competitors. 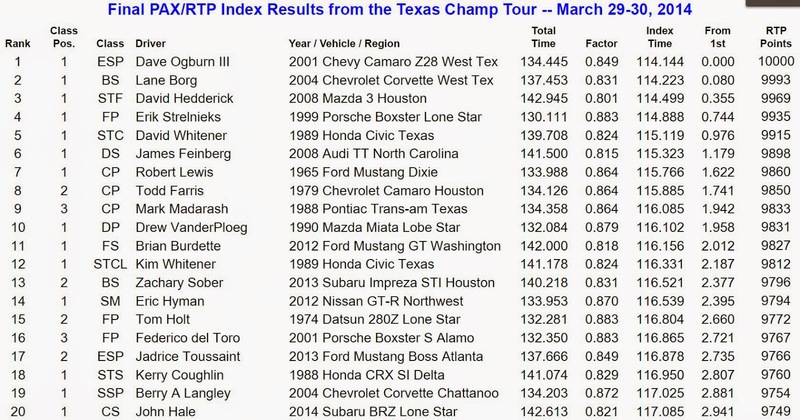 I also just snuck away with Top PAX for the event by 0.080s over Lane Borg my former co-driver in his B-Street Corvette. This was my first Top PAX finish at a National Event. 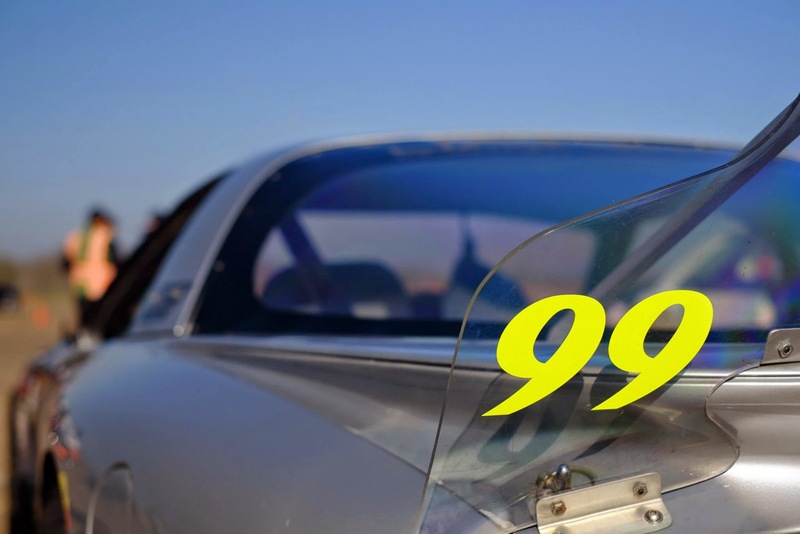 Despite the success we have had over the past few weeks, the College Station Tour and the bright yellow 99 decals displayed on many racecars were a sobering reminder that there are more important things than being fast between the cones. With the recent passing of beloved, Championship winning driver Tommy Saunders, clearly the focus needs to be on spending the time we have with great friends and family and having some good old-fashioned fun. I did not know Tommy well, but I do know that he was loved by many in the Solo community and it was always great to see him and his family at the races. The best part of the past 10 days was just spending two 12-hour drives with my Dad back and forth to Arkansas. That's the important stuff. 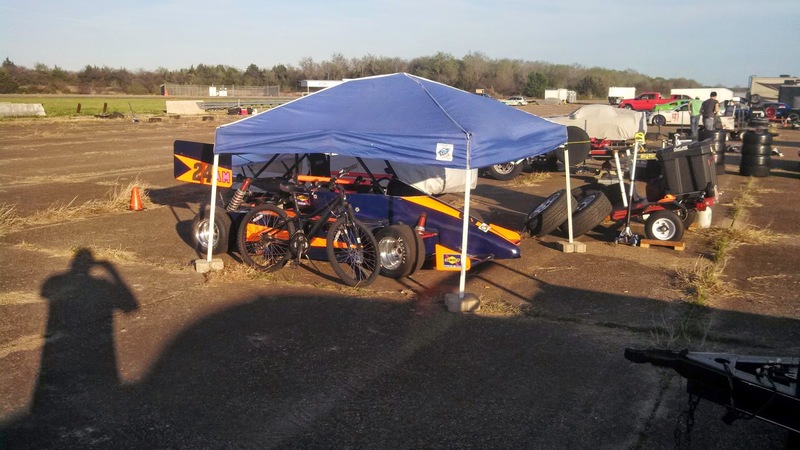 My Dad and I kicked off the National SCCA autocross season with a fairly last minute decision to attend the Blytheville ProSolo on the weekend of March 22nd and 23rd. With us not being able to attend Spring Nationals this year, we needed another ProSolo event to qualify for the Pro Finale in September. We arrived at Midnight Friday in Blytheville looking forward to mid-40s temperatures and strong winds all weekend. Luckily, the rain we did get didn't affect the on-track action as we had decent track conditions in all three heats. I put in some work in on the ESP Camaro before the event.....thanks to Josh Pu'u for the help in the shop! 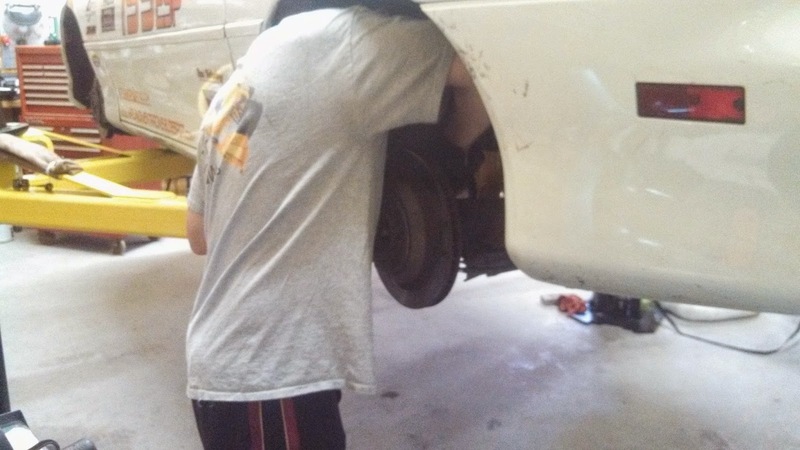 Headless Josh hard at work! 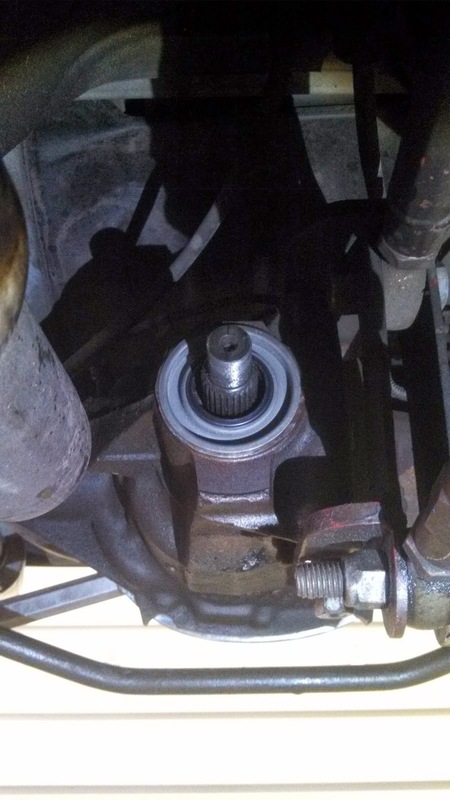 New pinion seal in. Still leaks though...gotta figure that one out! We were 10 deep in ESP which is a big improvement over Blytheville turnouts in recent years. Overall, the event was a huge success. 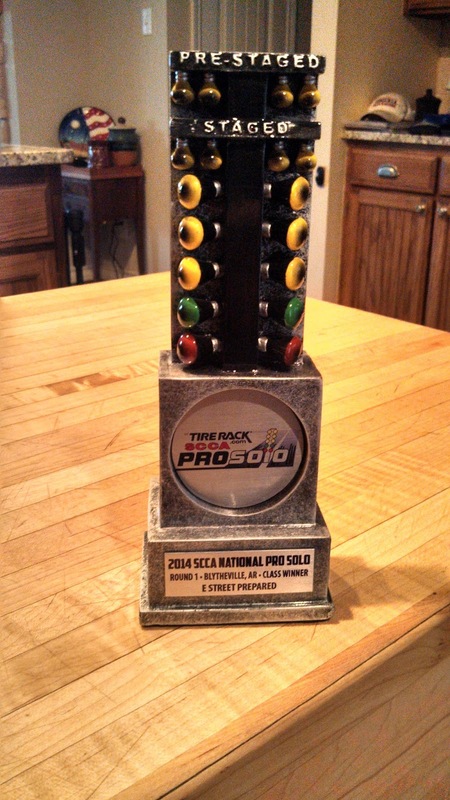 I picked up my first ProSolo class win and my Dad earned his first trophy at a National SCCA event. The car was working great and the courses suited our Camaro as it was fairly high speed for a ProSolo event - more like a Tour course. 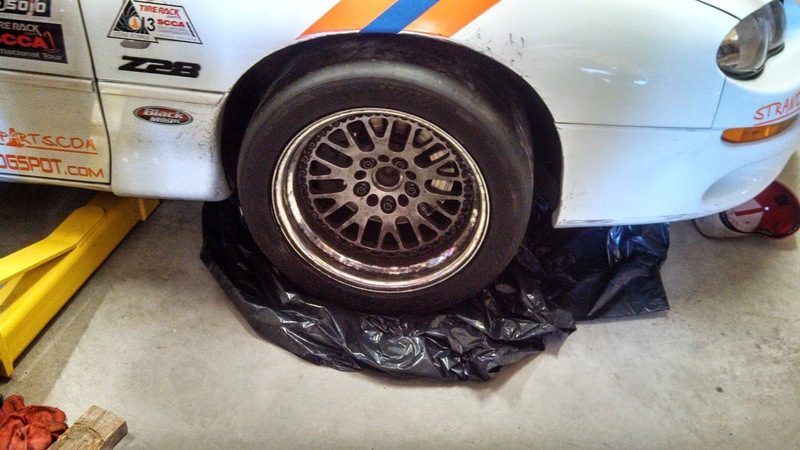 We made some minor setup changes to the car over the winter and it worked very well. The car has never felt better I'm happy to report. The bummer for the weekend was Jadrice's great looking Boss Mustang having clutch issues with ended his event after two runs. The event may have very gone differently for the Ogburns with Jadrice still in the field. With my win in ESP, I made my first ProSolo Super Challenge and was the 2nd qualifier which actually pays some money! Drivers are seeded by their margin of victory and my 2.1s margin was good enough for 2nd behind Mark Madarash's 2.2s victory. 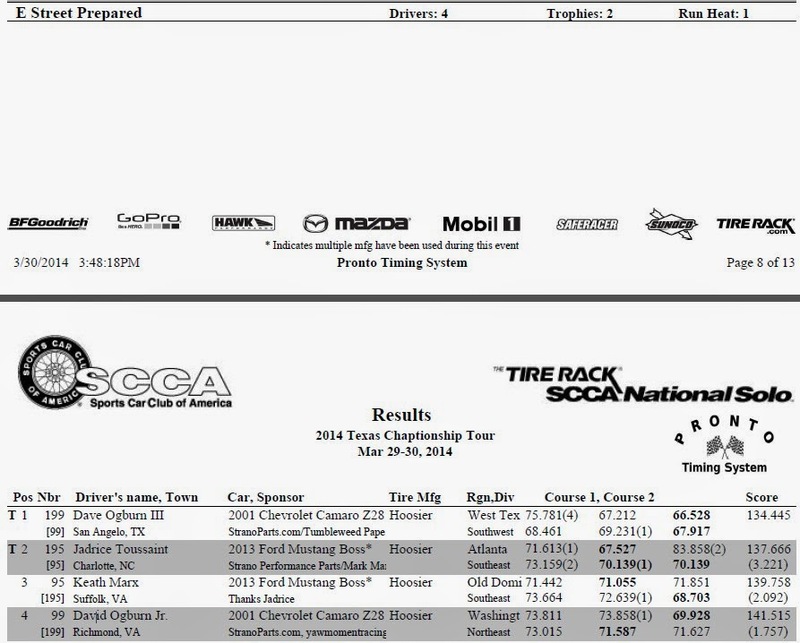 I lined up against an STF Mazda 2 in the first round was able to take the victory and move to the second round. 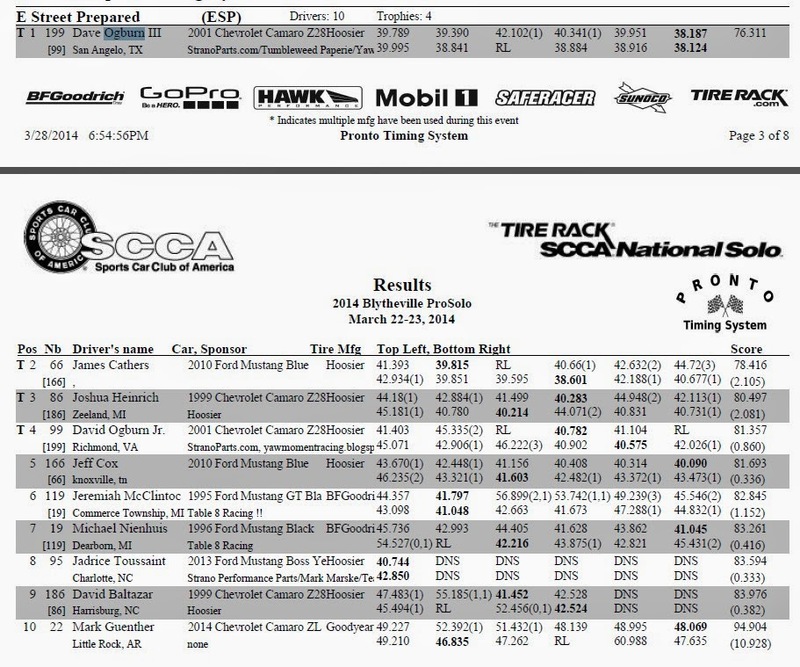 I lined up against Chris Harvey in a C-Street MX-5 in round 2 and my cold race tires were no match for his pre-warmed Dunlop street tires (his co-driver drove right before him in the Challenge). Congrats to the Kim and David Whitener who came home with a pair of Challenge victories. Right after the challenge, we hit the road for the 12-hour trek back to San Angelo where we arrived at 6AM....maximize racing, minimize vacation time! The crazy driving trip was worth the results we achieved in Blytheville and it was good to catch up with our autocross friends from all over the country. Next up for us was the College Station Championship Tour which I will have a recap up shortly. Thanks to Sam Strano for his advice throughout the weekend and for helping me continue to develop the Camaro. It was good to catch up with you buddy! 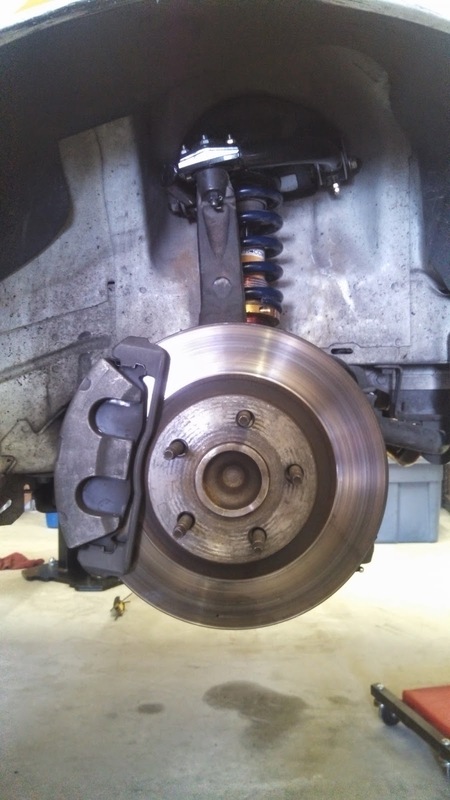 Visit Strano Performance Parts for your all of your autocross and muscle car needs. I've been a little busy over the past few weeks....but updates are coming. 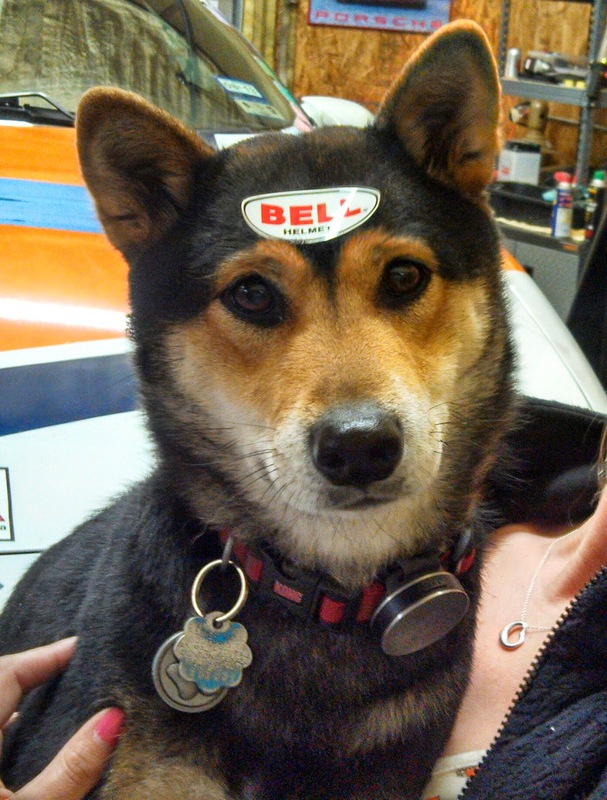 In the meantime, here is my dog "protected by Bell."